You’ll Regret Not Checking Out This Sale! 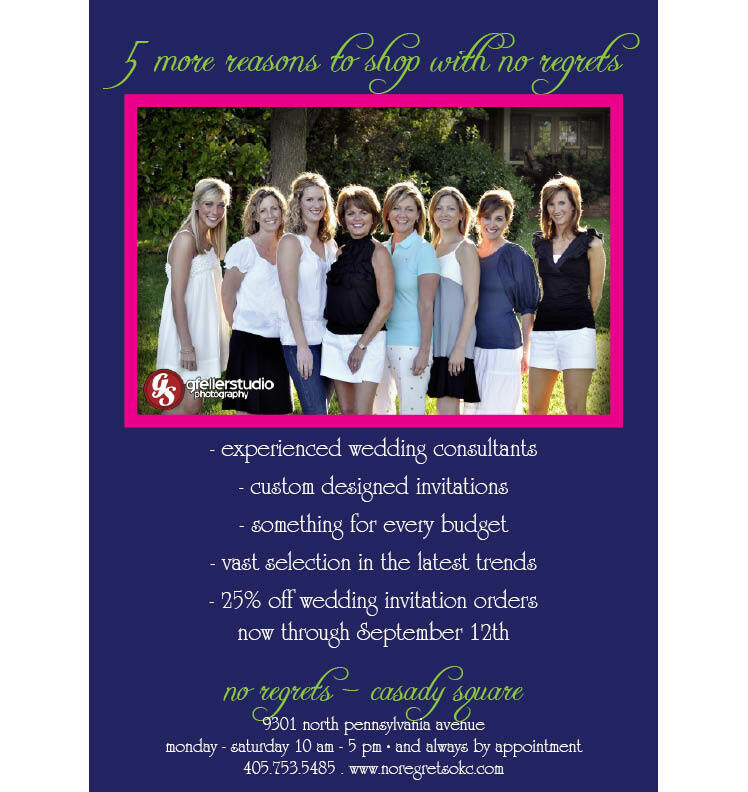 Drop by No Regrets from now until September 12, 2009, and receive 25% off wedding invitation orders! You’ll find a huge selection of the latest trends and you have the option to create a custom designed invite! Aside from the invitations, there are tons of cute gifts and accessories! Stop by No Regrets today!